Is there a complete list of these? I've seen lots of Q&A about "What does x icon mean" but it would be really useful if there were a complete list for reference! 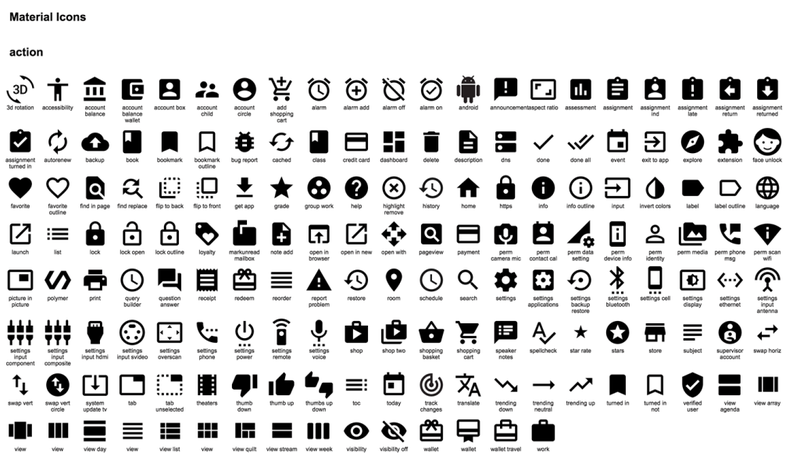 Google provides a big, categorized list of Material icons with few-word description. Note however that not all of them are used for system notifications. This includes all material action icons in Lollipop. Not the answer you're looking for? Browse other questions tagged 5.0-lollipop notification-bar notification-icons or ask your own question. What is this N-shaped icon on my HTC One? Where can I find documentation for icons used in the notification bar? Is it possible to move the status / notification bar or the settings icon? How to remove any icons from notification bar? Remove H/H+ from signal bars?